Own a rare haven of magnificence and restfulness in altitude. Enter into a world where a new horizon amplifies true luxury and prestigious living. 140 exclusive freehold units awaits discerning individuals or families to indulge in affluence. Soaring 21 storey high, RV Altitude contributes its beauty to the city skyline. a cluster of conveniences right at the heart of the city. for 1,399 luxurious homes in a modern sanctuary of refined living. selected pines and sensual sound of moving and cascading water. Here's an alpine experiential. Shopping malls like Cathay Cineleisure and 313 Somerset will be familiar sights to long time residents of the area. Not to mention Scape, a popular hangout for Singapore's youth and hip hop fans. Garden Pod are surrounded with pine trees that create a refreshing environment within our tropical setting. and enjoy drinks in the water. Aqua Gym offers a deluge of benefits. Pool Deck, Pool Pavilion and Trellis Lounge provide spaces for multi-use of activities. fitness training (Sky Gym), and health, wellness and meditation (Sky Yoga Patio). For foreigners, the international schools are also a great option for children to enrol into. Beyond shopping malls, the ever famous Singapore River is perhaps one of the most significant landmarks in the area. This iconic river is rich in Singapore history and stretches across many of Singapore's busiest prestigious towns including the Central Business District (CBD) area. [/vc_column_text][vc_single_image image="11800" img_size="full" alignment="center"][vc_column_text]Roxy-Pacific Holdings Limited is an established property and hospitality group with an Asia-Pacific focus and a track record that extends back to May 1967. [/vc_column_text][vc_column_text]21 Feb 19: Welcome to Official Mayfair Gardens and Mayfair Modern Developer Listing ! 2 Oct 18: Mayfair Gardens Open for public sale, Units selling from $1900psf. 15 Sep 18: Mayfair Gardens Showflat Opening for Public, register for viewing appointment now. [/vc_column_text][vc_column_text]Prime Bukit Timah From Only $18xxpsf! [/vc_column_text][vc_column_text]19 Feb 19: Welcome to Official Developer Listing ! 01 Dec 18: Over 200 units sold in less than 3 weeks. 4 Nov 18: Whistler Grand Open for public sale, Units selling from $1224psf. 3 Nov 18: Whistler Grand Preview Launch Sales, over 160 units sold in a day. 20 Oct 18: Whistler Grand Showat Opening for Preview, register for viewing appointment now. [/vc_column_text][vc_column_text]Sought-After West Coast Living from $1,239psf Only! [/vc_column_text][vc_column_text]Step into your new home and be enthralled by the fine touches that greet you. Lined with glass windows, an accented grey curtain wall cascades down the architectural facade trimmed by contemporary textured design. Balancing tranquillity with playfulness, it’s the perfect setting to experience all of life’s refinements whilst staying connected. Some 150 of 240 units launched yesterday - out of 716 units in total - were snapped up as of 5pm, its developer, City Developments Limited (CDL), told The Sunday Times. CDL head of property development, Ms Lee Mei Ling, cited "a combination of affordability, good location and design." Many of the units were priced below the "sweet spot of $1 million", she added. Be in complete control of everyday conveniences and beyond. Begin your day with the latest world news, weather and even your appointments read out to you by your smart voice assistant. Enjoy remote access of your room’s air conditioning with smart air conditioner control, and enhanced house security with a smart digital lockset and camera. Every detail is well taken care of in your smart home – letting you go about your daily life with absolute ease and assurance. Get Whistler Grand EBrochure Now !!! [vc_row][vc_column][vc_single_image image="11880" img_size="full" alignment="center"][vc_column_text]Discover "First Mover Advantage" in Fast Growing Phnom Penh and with a "10-year Safety Net"! Invest with not 1 but 3 Reputable Brands and capitalize on the growth of retail by owning a Shopping Mall at the heart of Phnom Penh! ✌ The Perfect Combination! And most Affordable Investment From only US$100K!  Premium Level 1 Shops, Restaurants & new Exhibition Space now open for sale! 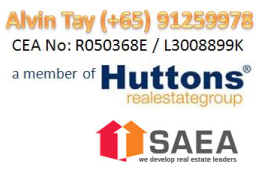 ♨ Best Selling Cambodia Property - over 700 units sold within weeks!  Approx 5-min walk to existing NagaWorld casino-hotel (like our MBS) and upcoming NagaWorld 2 Link by Naga Walk with Retail Spaces Below! Simply SMS or Whatsapp “PeakRetail” to +65-91259978 or simply click the button on the right to register for DISCOUNT ! in a more than 200-metre-long garden and waterscape, and a myriad of nearby amenities that highlight its unrivalled location. Perched on a sweeping estate, Parc Esta is the new residential landmark in the East. slides and a rope bridge, as well as a colourful rock-climbing wall. The new SingPost Centre boasts exciting, smart shopping experiences beyond delivering 24/7 automated postal services. impressive dining concepts. Not to forget a myriad of other lifestyle options such as the largest bouldering gym in Singapore.